Marcus Conyers is a doctoral researcher at the University of Westminster and director of research and development for the Center for Innovative Education and Prevention. As the coauthor of 20 books on applications of mind, brain, and education science, he has led statewide initiatives and worked in 30 countries, reaching more than 100,000 administrators and teachers. Conyers has presented at academic conferences at universities in the United States and Canada, at the University of Cambridge in the United Kingdom, and at Leiden University in the Netherlands. Beyond educational audiences, he is committed to sharing practical applications on the benefits of becoming more metacognitive with professionals in business and government organizations. 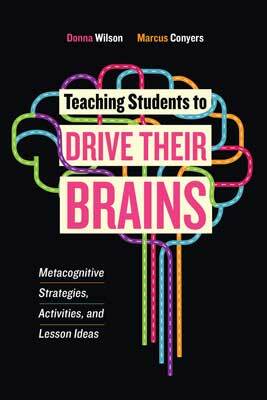 Discover how metacognition can make the difference between a student’s success and failure and how you can teach it to pre K–12 students.